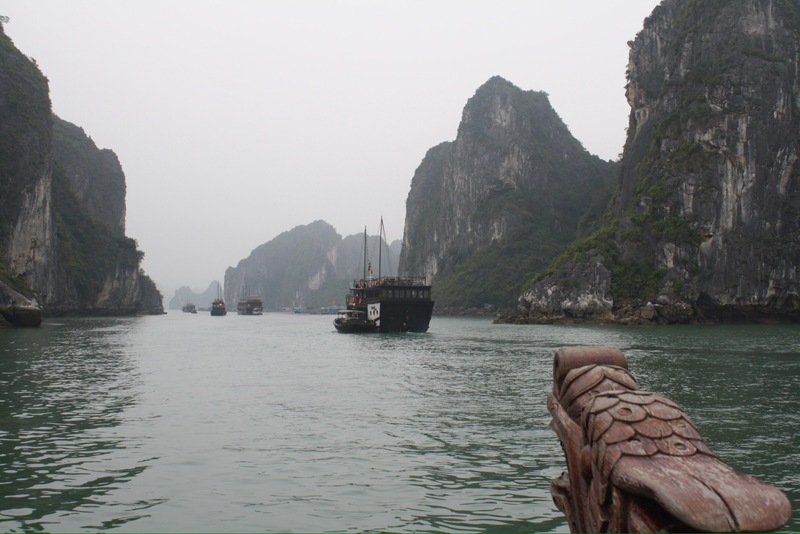 Ha Long Bay is 170 km east of Hanoi and is famous for its scenic rock formations. “Ha Long” is literally translated as “Sea of Descending Dragons” and was so named following a report in 1898 that a large sea snake was seen in these waters. The European image of the Asian dragon was likely taken from this story. Unfortunately the natural beauty of this vast area is somewhat spoilt by the commercialism that has developed with a tremendous number of tourist boats plying the waters. scratch Viet Nam off my Bucket List.